It's time for the last of 2008's significant awards to be handed out. This time, it's Mod DB doing the handing out, naming what they believe to be the 100 best mods for the year. From that 100, readers will have until February 28 to vote for the winners, who aside from INTERNET FAME will also get actual prizes. 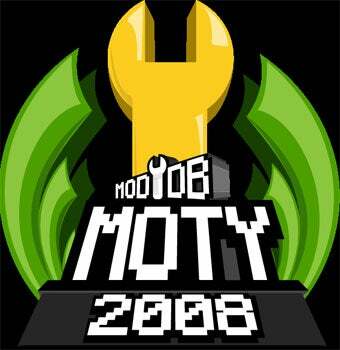 The nominations are spread across indie and commercial mods, and are also divided between mods released during 2008 and 2008's "best upcoming". Mod DB are both the home and heart of the mod scene, so these awards should be treated as official. Full list of eligible titles are below.